fej, 01 Dec 2010Hi to all... I'm from Philippines. Experia 8 is also available in our country. I'm planni... morehey fej. If you're planning on getting this phone, then all I can say is: Good Choice. It has excellent features and the only reason I wouldn't want to get the fone would be coz theres no LED Flash. But it doesn't matter. I have been using the fone for a month now, and still no complaints. Good fone, good price. Get it. Are the specifications 99% true? Does the XPERIA X8 only have 168MB RAM? fej, 01 Dec 2010Hi to all... I'm from Philippines. 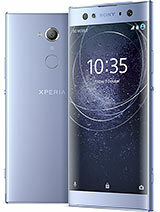 Experia 8 is also available in our country. I'm planni... moreI can assure you will never regret if you bye it. I'm also using it now. It is a handy phone. The only problem is I don't like touch phones. I've lost all my contacts after the update although I had BackUp and Restore... :D Never mind. I thing it's superb. Just don't know how to install the live wallpaper... :-?? Buy the phone, with the 2.1 update is really fast, and doesn't slow down that often. You can also play lots of games, but it doesn't have multitouch so not all of them. If that doesn't bother you go ahead, it's the best phone in its price range, the only one that is cheap also is the resistive piece of sh*t LG GT540, which is worser than X8. The RAM specification for X8 is 168MB, is this true? i just need the basics and the wifi. should i buy this?? Anonymous, 02 Dec 2010i really want to buy this one. but why do i read bad reviews only. :( should i buy this? ?actually it's a good phone. but with my X8, it usually heats up. I had it checked to Sony Ericsson service centre and they told me that they had to refresh the software to see why that happened and had it monitored. After than i don't know what's the changes. i'll give u update with that. i really want to buy this one. but why do i read bad reviews only. :( should i buy this?? Roar..., 01 Dec 2010For it's price range, it's a very good Android powered phone. Go for it...ok thanks!.. I'm afraid that if i buy one... i'll encounter the same difficulties that others had experienced... are u from the Philippines also? Experia 8 is also available in our country. I'm planning to buy x8.. could anyone tell me if this phone is great or not? Because I'm afraid I would regret if I buy one , basing all the comments that you have for this phone its a bad reviews.. so please help me to decide. raj, 01 Dec 2010krish,absolutely right.after 2.1 update battery backup is low compared to 1.6.even screen reso... morei think you use live wallpaper which consume more battery than still wallpaper thats y ur battery backup is gng to low and thats the reason i also found with my x8 too . krishh, 01 Dec 2010Hi Again, I uploaded my mobile with 2.1. Some features are changed but there is no surprise... morekrish,absolutely right.after 2.1 update battery backup is low compared to 1.6.even screen resolution I have set low.do u hv any idea how to improve battery back up.thanks in.adv.